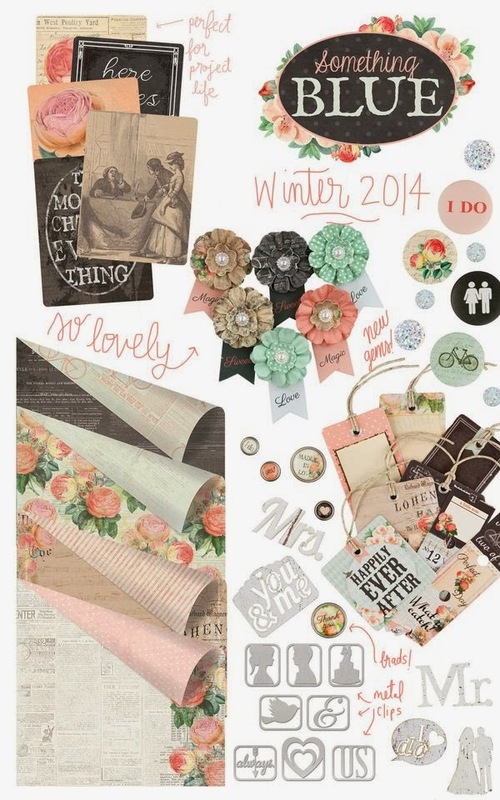 Erin Blegen: My Scrap Cabin: *NEW* Prima Winter CHA 2014: Something Blue! It seems we wait SO long for it...and here it is. Winter CHA has arrived and with it TONS of amazing NEW stuff! I don't think there's a scrapbooker out there who doesn't LOVE new stuff, and so we anxiously await CHA to restock us with inspiring product. This collection is incredibly versatile- it's not just for weddings. But it gave me a good excuse to scrap a wedding photo, which I don't do very often. So I went with it :). 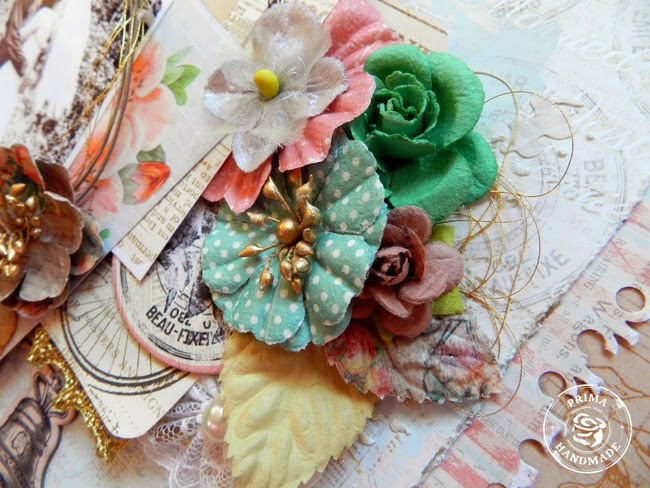 As always, there's new printed chipboard from Prima for each collection, and I think they have their best ones yet! I'm also loving the ATC cards. 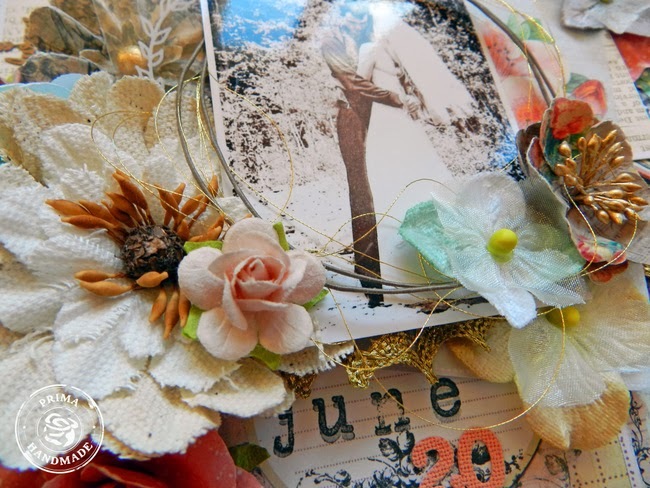 I am obsessed with layers, and they are just so quick and easy for building up my photo mat. 813499 Something Blue Collection "Love Melodies"
813505 Something Blue Collection "Say Yes"
813451 Something Blue Collection "Reception"
813482 Something Blue Collection "Just Married"
Thanks for stopping by and checking out some NEW stuff :)! Fabulous creation with the new collection, Erin - it's gorgeous! Wow! GORGEOUS!!!!!!!!!! Tender moment captured beautifully! Wow! I fell in love with your lay-out the moment I saw it. It's so gorgeous and romantic! What a gorgeous collection ... and you've made it shine! What a stunningly beautiful page Erin !! Can't wait to see all those collections up. Close and personal!!! Gorgeous! Am loving gold at the moment too. LOVE that little bit of gold texture peeking from underneath your photo. Fabulous work and yes it's always exciting to see the brand new product being released. Had to stop and spend some time looking over all the new goodies. Love it! Love your layout, Erin! Everything is just so perfect and then boom! We see some imperfect jagged edges to the right and bottom. Thanks for the inspiration!! This is beautiful. Both photo and LO. So very beautiful. Stunning textures and layering Erin. HI Erin this is divine!! this is such a beautiful layout Erin with a lovely photo!